There are a lot of reasons to be thankful that Carly Fiorina was allowed to participate in the second Republican primary debate — and let's not undervalue the fact that her presence has yielded some hysterical memes. It was touch and go there for awhile as to whether the former Hewlett-Packard CEO would be allowed to graduate from the happy hour debate to the main stage, but she succeeded. And we're so happy. 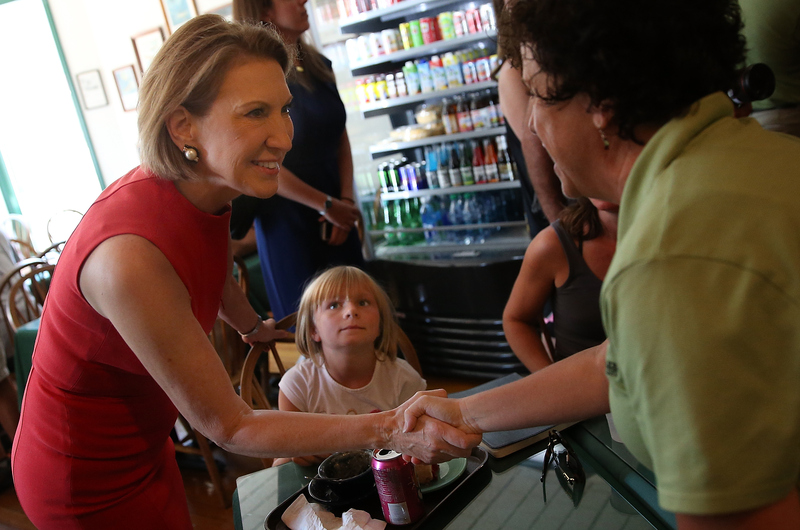 Going into Wednesday's debate, viewers expected Fiorina to be one of the highlights of the night. After an impressive performance during the first primary debate, Fiorina was vocal about her willingness to call out other candidates, most notably Donald Trump, "the entertainer." Her quick responses and direct comments are what help Fiorina stand out among a bloated field of candidates — and they helped her stand out among the 10 other participants onstage. Fiorina's performance clearly didn't go unnoticed, as those following along at home were quick to make comments via various social media platforms. As was to be expected, the Trump memes were both hysterical and numerous. While there were some rude and sexist memes circulating about Fiorina, there were still a decent amount of hysterical ones, which highlighted her success on the stage. Though she may not produce the hysterical sound bites that come so effortlessly to Trump, Twitter users were still able to find some comedic gold in Fiorina's otherwise serious debate performance.